The bipinnaria larva of the shelf-dwelling asteroidLuidia sarsi Duben and Koren, 1845, can attain (exceptionally) a length of 35 mm; metamorphosis to the adult benthic phase usually occurs well before this size is reached. A seastar rudiment develops at the oral end of the bipinnaria and, under normal circumstances, it detaches itself from its larval body before reaching a diameter of 5 mm. Midwater trawl samples taken from the surface to 1650 m in the Porcupine Seabight during 1978 and 1979, however, includedL. sarsi larvae with post-larval rudiments of 15 mm diameter and greater. It is shown that the bipinnariae and attached post-larvae both continued to grow until a point was reached when it appeared that the young sea-star could no longer be sustained by the bipinnaria. There is evidence that the largest post-larvae had absorbed the bipinnaria tissue and this, it is concluded, is the final stage before enforced settlement. 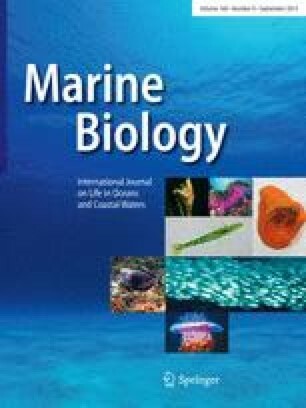 From the estimated growth rate it is likely that many specimens had been in the plankton for >1 yr, giving this species a capability for long-distance dispersal.